MASVINGO – Lovemore Matuke who is the Deputy Minister of Public Service, Labour and Social Welfare, and secretary for security in the Zanu PF Politiburo is being investigated by the Commission of Inquiry into the sale of State land in and around urban areas for 82 residential stands that he received and deposed off at Victoria Range in Masvingo. Matuke who got the land through a company called Sando Pvt Ltd said he did not make any money out of the stands. He said that he gave away 67 of the stands to civil servants in Gutu through Gutu Rural District Council and 10 went to war veterans. He said that his company Sando was left with just five stands. However the Commission did not ask for proof that he indeed gave the 67 stands to Civil servants. He also said he partnered with Shine Plus Holdings, a private land developer to service the stands as he did not have funds to do so himself. However, commissioners put it to him that Shine Plus had said that it had nothing to do with the 82 stands in Masvingo; instead the deal between Matuke and Shine Plus was for stands in Gutu. 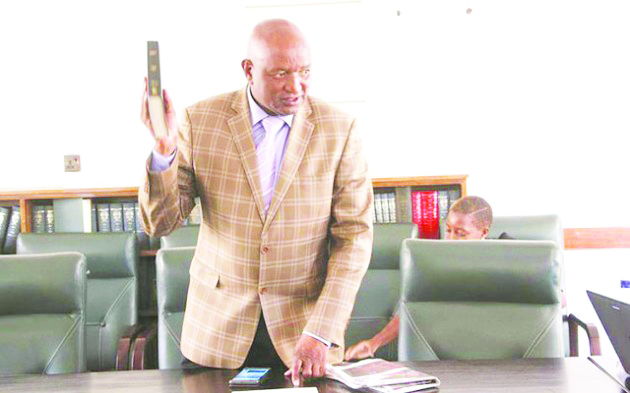 Matuke insisted that he did not know anything about the Gutu stands and told the Commission that the only stands that he had were those 82 at Lot A of Victoria Ranch. Matuke who recently constructed one of the biggest private schools in Gutu District appeared before the Justice Uchena chaired Commission a few weeks ago. The Commission was appointed by the President to establish who got and sold State land from 2005 up to now. The Commission was put together following the emergence of land barons who made super profits by selling State land without servicing it. It is illegal to sell State land. The Commission also noted that Matuke did not surrender 10% of the stands to commonage as is required by law. “I can see that you received a total of 82 stands and according to the law you are required to surrender eight of those stands to commonage but there is nothing to show that,” asked Commissioner Heather Chingono. Matuke said Shineplus was the best placed company to answer the question. The Commission will after its investigations make a report of its findings to President Mnangagwa who would decide.